To say that the Airblaster Snuggler Jacket is the “ultimate in feminine protection” makes it sound like a commercial for something other than a jacket. But to be fair, these words are the perfect way to describe the Women’s Snuggler Jacket. It is the ultimate in cold weather protection, meaning that you stay warm while others are forced inside to sip hot cocoa. And even though this jacket is tough, it’s quite feminine too. With midweight insulation (135 grams), and 10K waterproofing, this is Airblaster’s top-of-the-line winter protection for the female shredder. 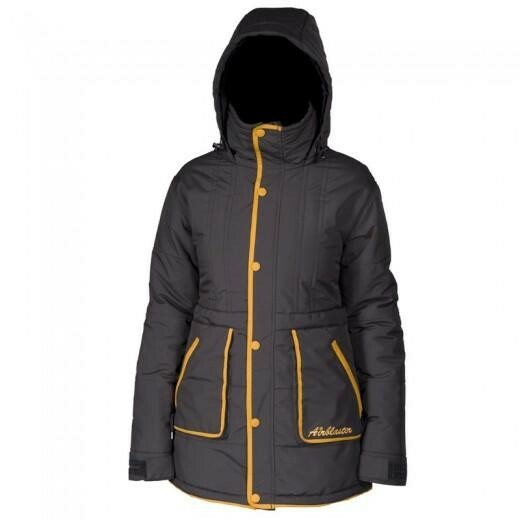 So when we say that The Airblaster Snuggler jacket is the ultimate in feminine protection, we’re not joking.